In the words of the illustrious Nina Simone: It's a new dawn, it's a new day, and I'm feeling good. 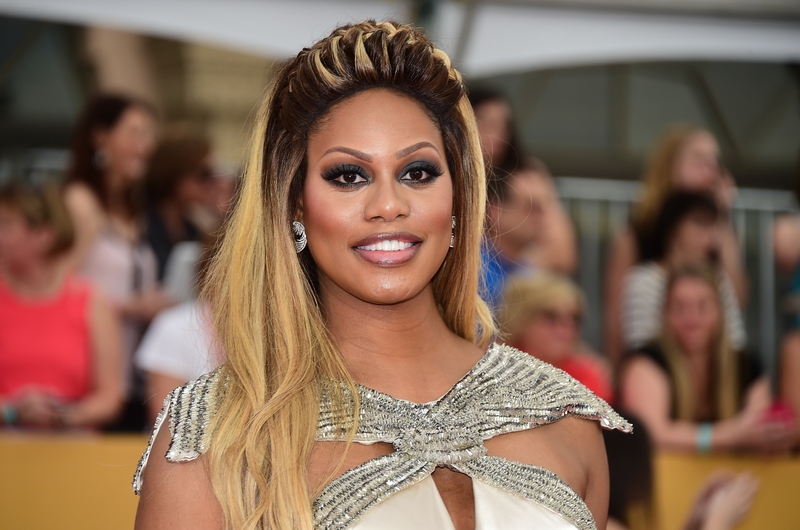 Because the beautiful goddess and transgender actress who plays Sophia on Orange Is the New Black, Laverne Cox, was just confirmed to be costarring in CBS' new primetime drama pilot for Doubt. She'll be playing Cameron Wirth, an Ivy League–educated lawyer who's "competitive as she is compassionate. She’s fierce, funny and the fact that she’s experienced injustice firsthand makes her fight all the harder for her clients," as Entertainment Weekly reported. Additionally (and even better), the role was written as a transgender character. I'm sure I don't have to remind you what a huge deal this is — but I'm about to remind you what a huge deal this is. Cox has made a hell of a lot of history in the short time she's been on our radar, and nabbing one of the leads in Doubt is just another example. At the 2014 Emmy Awards, Cox became the first openly transgender actress nominated for an award for Outstanding Guest Actress In a Comedy Series for her role as Sophia Burset on Netflix' Orange Is the New Black. She was interviewed on the red carpet, and when asked how she felt about making history, replied: "There have been other trans folks in other categories who have been nominated. We have to acknowledge our history. But I'm really blessed and grateful." This humility coupled with Cox's constant reminder that the trans community is more far-reaching and visible beyond the sphere of her success in the industry is what makes her so powerful and respectable. She's a fierce advocate for transgender rights, especially reminding young members of the transgender community that their lives matter. When 17-year-old transgender teen Leelah Alcorn committed suicide late last year and posted her suicide note on her Tumblr account, Cox took to Twitter to express her sadness and remind the community that this conversation needs to continue to increase awareness, tolerance and understanding to stop tragedies like Alcorn's death from happening again. And then, of course, was when Cox really made unprecedented history when she became the first openly trans woman to cover Time Magazine. There was her moving speech about rampant racism, sexism, and transphobia that causes violence and hate at a Kepplar Speakers lecture. Cox has not only carved a place for the trans community in the world of TV, but has proven she has harnessed her celebrity to incite a conversation about how much we need to recognize all lives as valuable. Even if Cox was not such an amazing advocate, her casting in Doubt would be monumental simply because of the fact that she's the first openly transgender woman to costar in a primetime drama, ever. But it's evident from her long history of speaking about her painful past and urging the trans community to share their stories. And playing an Ivy League attorney on Doubt is a victory that is twofold: She will be the first openly transgender woman in a drama, yes, but in a role that shatters the pigeonholed, stereotype parts that are written for black women on television. Laverne Cox is a living, breathing, acting reminder that there are narratives that need to be visible on television both for the sake of diversity and to provide the LGBT community with a sense that they can turn on the TV and see a story that they can relate to. She's used her art to give hope to so many and her bravery in sharing her past has been constant. Cox is ever humble and always remembers to thank the members of the trans community that are also doing important work, but don't mistake her humility for lack of awareness: she knows what kind of position of power her fame puts her in, and she's using it for good. We can't wait to see how she inevitably will kill it on Doubt.